Elegance and refinement. The stunning rotunda foyer with its soaring ceiling welcomes you to the open concept, two-story formal dining room, great room, and generous luxury outdoor living space beyond. The appealing kitchen includes a large center island with a breakfast bar for informal dining, ample cabinet and counter space, thoughtful prep area, roomy walk-in pantry, adjacent generous breakfast nook with coffered ceiling, and convenient butler pantry access to the formal dining room. Enhancing the resort-like master bedroom suite is an elevated coffered ceiling, relaxing sitting area, king-sized walk-in closet, and impressive master bath complete with dual vanities, large soaking tub, shower with seat, and private water closet. Secondary bedrooms each feature private full baths and roomy closets. Additional highlights include a centrally located laundry, and convenient powder room adjacent to the foyer. R & R Builders offers a sophisticated spectrum of living in line with your expectations of a dream home. The customer is our king, and our success lies in your happiness. 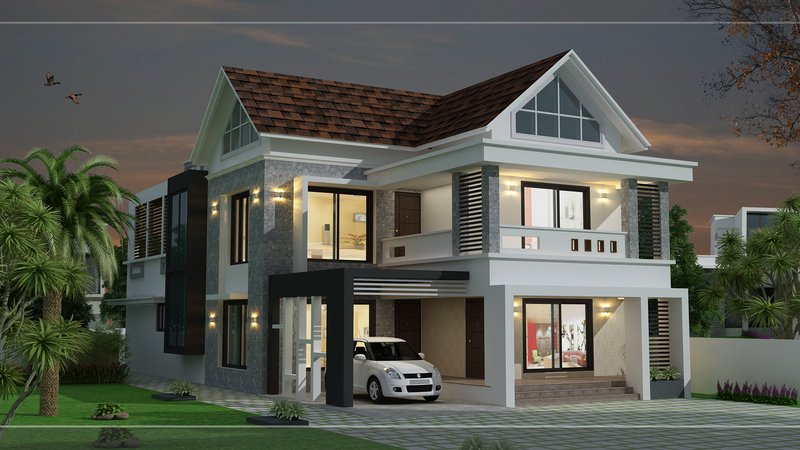 Today, we are not only one of the top builders in Thrissur but also striving to become the best builder in Thrissur. Our experience in creating best living spaces, which gives all the comfort of a good home brings us the reputation that we enjoy today …We set out to create a niche in the construction industry around 28 years back. Since then there was no looking back for us. R & R Builders invite you to enjoy the luxury of living in our signature class & sophisticated living spaces blooming in Trichur and Ernakulam. We have successfully delivered 45 projects serving around 1700 families.